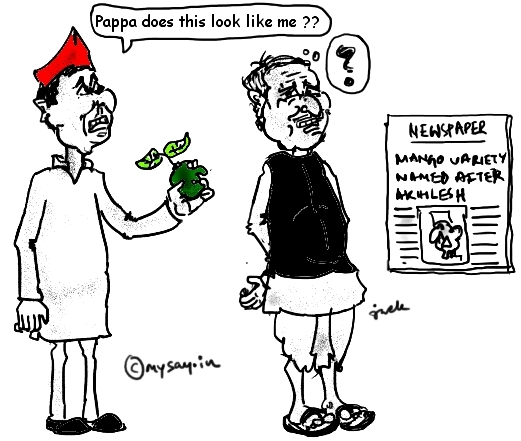 Jailed MLAs in Akhilesh Yadav’s Lunch for Pranab Mukherjee ? Mukhtar Ansari, an Independent MLA supported by the ruling Samajwadi Party, and Vijay Mishra of the SP are only released to attend Assembly proceedings and that’s the only outing allowed to them. Both are at present residents of government hospitals and are brought to the Assembly in ambulances.While Ansari is booked for murder, Mishra for attacking a BSP leader and while the country thinks they are serving their punishments, in reality,they got the liberty to attend yesterday’s grand lunch with Pranab Mukherjee. Well, astonishingly in our country, people do not mind voting for criminals as well. 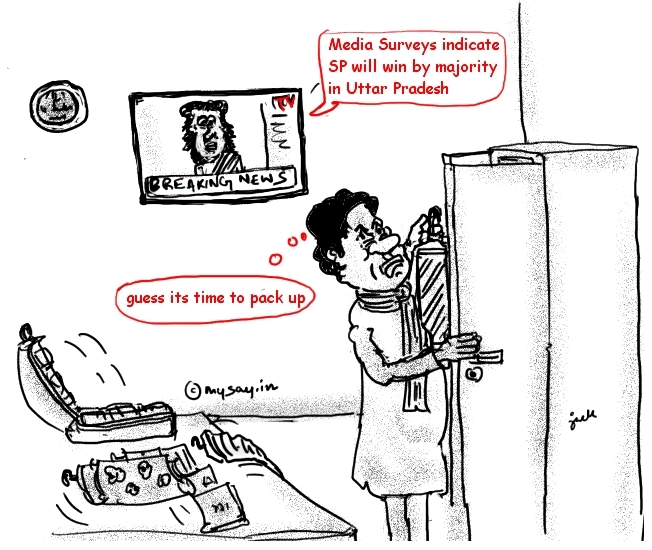 Media Survey-Samajwadi Party will win by majority ! If we go by the media survey, Mulayam Singh’s Samajwadi Party has clear chances of winning the Uttar Pradesh Elections by majority. Well,few years back, Media survey had declared NDA’s second session in General Elections and even the BJP seemed very confident and the result was drastically different.NDA ended up losing real bad !